Mobile Device Manager Plus Geo-Tracking feature is used to locate the geographical location of the managed mobile device. To locate the geographical location of the managed mobile device, You need to have an ME MDM App installed in it. 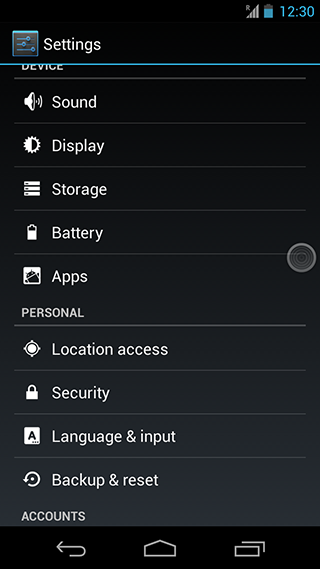 Mobile Device Manager Plus will not maintain any history of records about the physical location of the mobile device. You can use this feature only to locate the recent location of the managed mobile device. Geo-Tracking is currently not supported for Windows devices. The managed device should have connection to the internet, it can be either WiFi or mobile data connectivity . Location Services should be enabled on the managed device and ME MDM App should have permissions to use it. Refer to this: Enabling Location Services for iOS devices and Android devices. Enabling location tracking for long period of time might drain the battery. Under Actions, click Locate the Device, you will be able to view the location of the device. You will now be successfully able to locate the geographical location of the android devices instantly. 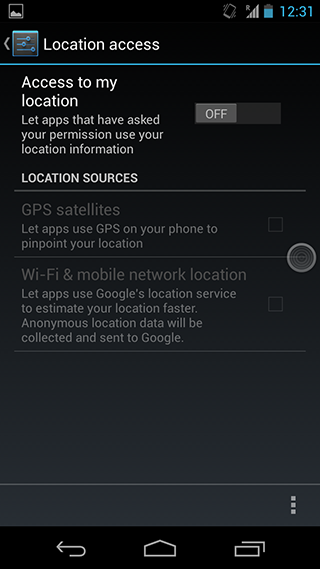 Enable Location services as shown in the image and locate ME MDM App to add permissions to it. Location Details will be updated only when there is a significant change in the location of the mobile device. 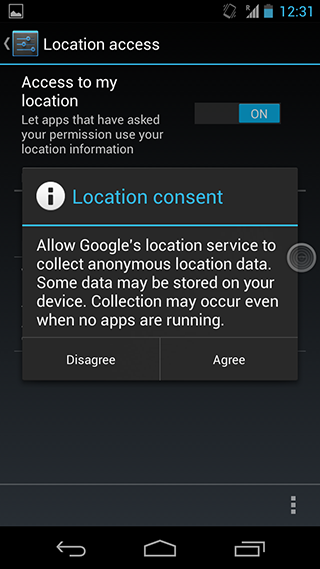 Turn On Access to my location and touch Agree to allow Google's location services to access your device's location. 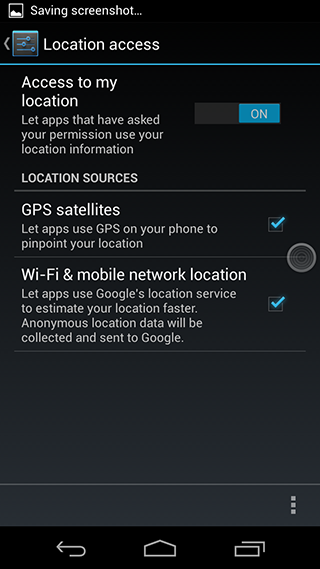 Touch the check box to enable GPS Satellites and WiFi & mobile network location as showed in the image below.